Exercising is one of the best ways to ward off falls. But which type of exercise helps most? A small randomized controlled trial — the gold standard in research — found that tai chi is the winner. The study was published online Sept. 10, 2018, by JAMA Internal Medicine. Researchers took 670 older adults (average age 78) with a self-reported history of falls or mobility problems and divided them randomly into three groups. One group did tai chi only; one group did stretching exercises only; and one group did aerobics, strength training, and balance and flexibility exercises. All of the participants took part in their assigned activities twice a week, for an hour each time. 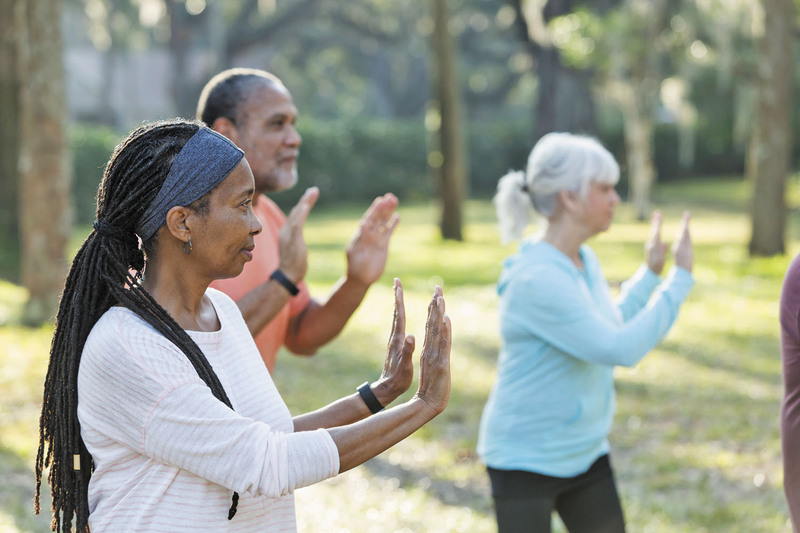 After six months, people in the tai chi group had experienced 58% fewer falls compared with people in the stretching group, and 31% fewer falls compared with people in the group doing several types of exercises. The type of tai chi in the trial was tailored to older adults at risk for falling. But lots of evidence has shown tai chi in general is effective for improving balance. It uses a series of slow, flowing motions and deep breathing. The gradual shifting of weight boosts your strength, flexibility, range of motion, and reflexes.